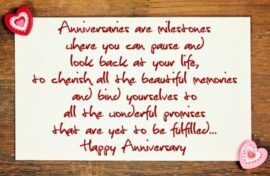 Welcome to our wedding anniversary party planning guide and congratulations on making it to another year married. You will have learned that marriage is the best teacher of all. It teaches you loyalty, tolerance, self-restraint, forgiveness and a great many other qualities you wouldn’t have needed if you’d stayed single! Whether you’re celebrating your tenth, twentieth, silver, ruby or gold wedding anniversary, we will help you mark the years of happily married life you have had (that will be ten of the fifteen years you’ve been married then)! For all these years you have been together, your man deserves something special and here are some thoughtful gifts for your husband. Whilst for many of us the secret of a happy marriage remains a secret, you have shared life with all its joys and challenges with your beloved at your side, walking with you every step of the way. That deserves a party. Our mission is to help you make planning an anniversary party easy, relaxing and fun from start to finish. Whether you are planning the party for yourselves or putting on a party for your parents or another couple, we will help you create a day that celebrates their union. Whether you are a couple who loves informal celebrations or a couple who love a celebration full of ceremonial splendour we will help plan a suitable party. 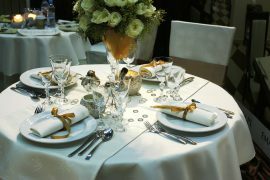 If you are planning for another couple’s anniversary party, do you know what type of party would be appreciated? If your couple like formal parties, then a pizza delivery or a pitch-in celebration is unlikely to be your first choice the celebrations. May this lovely day, remind you of the love that made you believe in love.